Soft to touch, Made from polyester fiber which belongs to uniform cloth, Free from harmful chemicals, safe for you And your family. Syntus Apron will meet your demand. 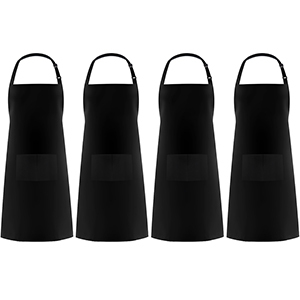 Syntus 4 packs bib apron is a newer version of the package, made from polyester fiber which belongs to uniform cloth, there is no redundant pattern design of this apron, so it will be quite convenient for your to print your logo on it, free from harmful chemicals. It’s unique design with an adjustable neck strap and comes with a long ties that makes it adjust to most sizes for both men and women. There are two big pocket in the middle of the apron, so that you can storage your thermometer, grill slips, recipe cards, etc. It covers from chest to knee provides great coverage and protection from kitchen grease, spills and food stains. 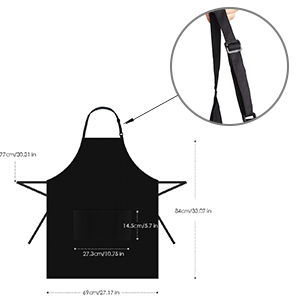 Our apron are used widely, which suitable for home kitchen, restaurant service, drawing, BBQ, etc. Unique design with an adjustable neck strap for the most suitable length. Long ties that can be easily altered to fit most sizes, which is suitable for both men and women. There are two big pocket in the middle of the apron for better holding your carry-on objects. This Bib Apron is ideal for home, business, and mechanical employments. Regardless of whether you are a devoted cooker intrigued by culinary expressions, or filling in as a painter, barbecue host, or need some security from the components, this Bib Apron will have the capacity to keep your garments clean underneath. 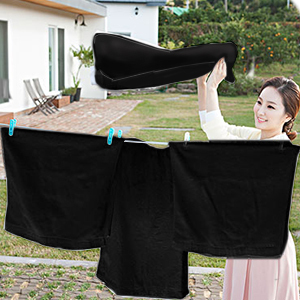 Newly 4 packs apron, no more worries about the replacement of the dirty one,4 packs recycling use, convenient to use and machine washable. 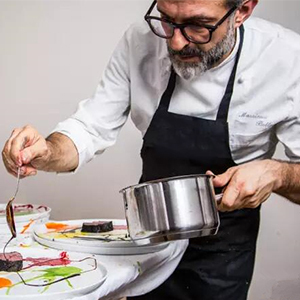 Look like a master chef in Syntus adjustable Black bib apron. It’s in unique design with an adjustable neck strap for the most suitable length. Comes with a long ties that can be easily altered to fit most sizes. It covers from chest to knee provides great coverage and protection from kitchen grease, spills and food stains.